Summer holidays bring us all the opportunity to spend time with our families. 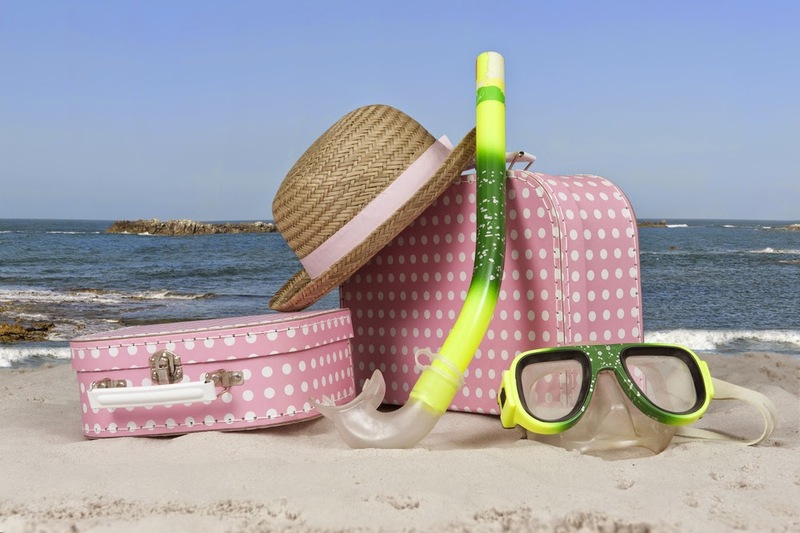 Fun in the sun and summer memories made with day trips and summer travel. We don't typically vacate anywhere exotic during the summer but we often take day trips during the nice days. We take the kids to the local pool, nearby splashpads or sometimes spend the day at grandpas sitting beside his pool. Either way, no matter what we do we all have fun. Take time to prep - dedicate time well before departure to plan your packing - yes plan. Check out the seven day forecast, if you are vacating make sure flight times are accurate, check construction and closures for driving routes to make a realistic travel route to get you there on time. If you're flying, remember to double check what you can and can't bring in your carry-on to avoid anything being thrown out. Make a list, check it twice - If heading on a road trip, packing the family and your trip essentials can mean a tightly packed vehicle. Making a check list of what you really need will help eliminate those "nice to have" items that take up way too much space. Get the kids involved with preparing. Throughout the week have the kids write down items they use in the day on a chalk or white board in a central location (kitchen maybe?). At the end of the week, go through the list together and narrow it down to the must haves. You may be surprised by some of the things you use on a daily basis. To pack it right, pack light! I've learned this one travelling just on my own, I can imagine with the whole family. The lighter the better. Packing with kids and pets may be difficult to live by this mantra but keeping things light and simple leaves room for souvenirs! Downsize by bringing items that have more uses than one. Pampers Sensitive wipes aren't just for changing diapers and are a great alternative for wiping up messes on the road. Have Puffs Basic Tissues on hand to aid unexpected clean ups. Bounce free & Sensitive dryer sheets are a great static solution on the go. Rub along your electric charged clothing item to help remove that pesky static! When you pack up your clothes, try rolling them instead of folding. It often helps keep things less wrinkled and can save space in your suitcase. To keep everything smelling fresh, longer, spray the inside of your suitcase with Febreze Fabric Refresher Extra Strength. Car essentials - Its easy to be tempted by road side stops for fries and ice cream, which can add up and increase your travel budget. Try bringing cut fruit, veggies, sandwiches and bags of trail mix to help curb everyones appetite. Don't worry about the mess with Bounty DuraTowels White Paper Towels, great for spills and sticky fingers. For bathroom pitstops, bring your own TP. Yes, often public rest stops are missing the thing you need most. Be prepared with Charmin basic. Don't forget to pack your personals like Scope Outlast, Oral-B Pro-Health Cross Action Manual toothbrush and Oral-B Pro-Health Glide floss so you can freshen up your mouth on the road. Long car rides can often result in smells you'd wish had stayed at that rest stop. Keep your car smelling fresh for the ride with Febreze Car Vent Clip air fresheners. Last but not least, safety first. Don't forget to pack a first aid kit, you never know what can come your way when traveling. From cuts, bruises, to colds and allergies, be ready to tackle it all so the fun never stops! Whatever you do this summer, make it a safe and happy time to relax and have some fun! :) Follow @PGinsider on Twitter and like the PGeveryday Facebook page for the latest updates! Posted in participation with the P&GMom Ambassador program. Products and perks are received as part of the program. Thoughts, comments and opinions are always those of the author. Prize provided by representatives of P&G. My tip is to bring wet wipes. They come in really handy! Start making a list of everything you will need to take with you a couple of weeks ahead of time and leave it on the fridge and add to it everytime you think of something. My tip is to bring hand sanitizer with you. There may be many occasions you may not be able to wash your hands and sanitizer will come in handy. Don't bring crayons/markers.. those are real pain and cause a whole ton of trouble when dropped, sat on, broken.... oh the memories. Try to be flexible and go with the flow as much as possible. Bring snacks & water because you never know if you'll get stranded. Take lots of snacks and water. Brings things to keep the kids occupied. Plan ahead. Check the internet for deals and order coupons before you leave to save money on your trip. Bring sunscreen and bottled water! Look in advance for deals/coupons/discounts for the places that you will be visiting! Be prepared, especially on road trips, always have emergency supplies in the car! Be patient because things never go quite like expected. Snacks, drinks and a spare change of clothes for the littles! Pack your fav snacks for long car rides, and make your own playlists so you know you'll have great music! Bring lots of snacks and a cooler to keep cold drinks in. It's amazing how much food we go through. Always pack sunscreen, bugspray and water. Be prepared. Make a list, and make sure you have everything you need. My number 1 tip is to always have an "essentials" bag packed and ready to go - bandaids, wipes, polysporin, waterbottles, sunscreen and snacks. Always be open to changing plans, especially if you have little ones. And make sure you take bathroom breaks whenever you can! just enjoy the travel and don't focus too much on where you end up! Make sure you have healthy snacks in the car. My tip is to bring snacks and drinks along on trips. Take snacks,,lots and lots of snacks,water too,and portable games,electronics etc,,so the kids don`t get bored. Take snacks, water and make sure you sing and have fun! Snacks, games, videos, anything you can think of, make sure to bring it! Bring frozen gel packs to keep snacks and drinks cold and can be reused if you head off to the beach. My tip for summer travel is to consider alternate indoor activities just in case it rains outside! Have lots of car games to keep the kids busy. Always have water, snacks and blankets in case you get stuck. Lots of snack & drinks in a small cooler always makes the trip easier! Bring lots of snacks, and little new toys they haven't seen before.